This is a sponsored post written by me on behalf of Mama Mancini’s Original Family Recipes for IZEA. All opinions are 100% mine. Need a quick dinner idea? 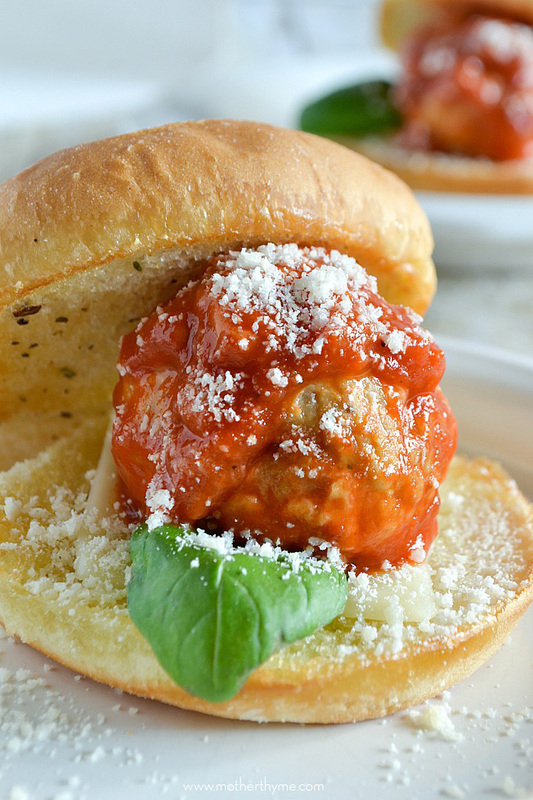 Try these tasty Meatball Sliders with fresh basil and sprinkled with grated Parmesan cheese. They make a great appetizer too! I love, love, love meatballs, especially good old-fashioned Italian meatballs. As much as I enjoy making my own meatballs let’s be real, sometimes life gets too busy to spend a lot of time cooking. Between activities with the kiddos, taking care of chores around the house, deadlines and just wanting to be a mom and spend quality time with my kids the last thing I want to do is spend time in the kitchen. Finding good quality food that I can heat and serve is important to me. On busy nights I love to have a few things stashed in the freezer that I can make a tasty meal for my family that doesn’t require a lot of time. 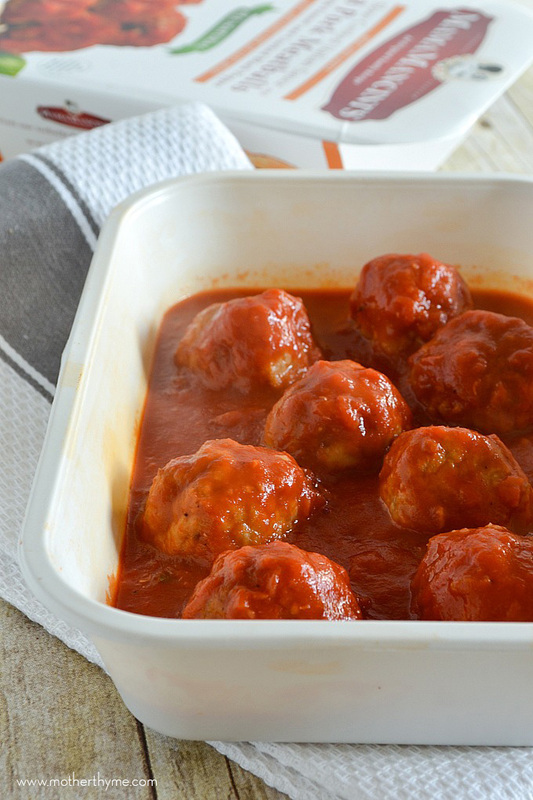 Mama Mancini’s Slow Cooked Italian Sauce and Meatballs makes pasta night a breeze. Just add in some cooked noodles, whip up a simple side salad and dinner is ready. With all-natural ingredients in the sauce and meatballs, it tastes like I spent all day simmering sauce and meatballs. Mama Mancini meatballs come in four different varieties, beef, turkey, chicken or pork. I even love these simply heated up and sprinkled with cheese and freshly chopped basil. 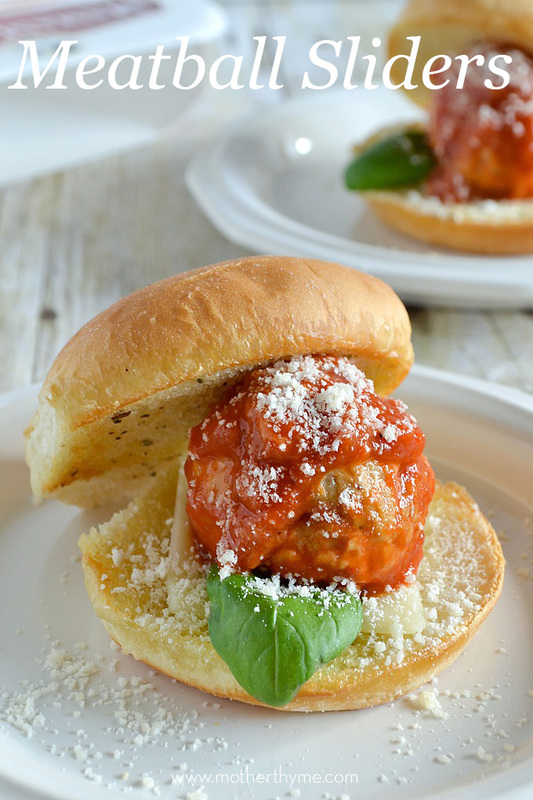 With the holidays just around the corner, these Meatball Sliders make a great appetizer. They also make a great dinner too. Just whip up a salad to complete the meal. Mama Mancini’s is an original family recipe. You just need to try them for yourself to see you good they are. 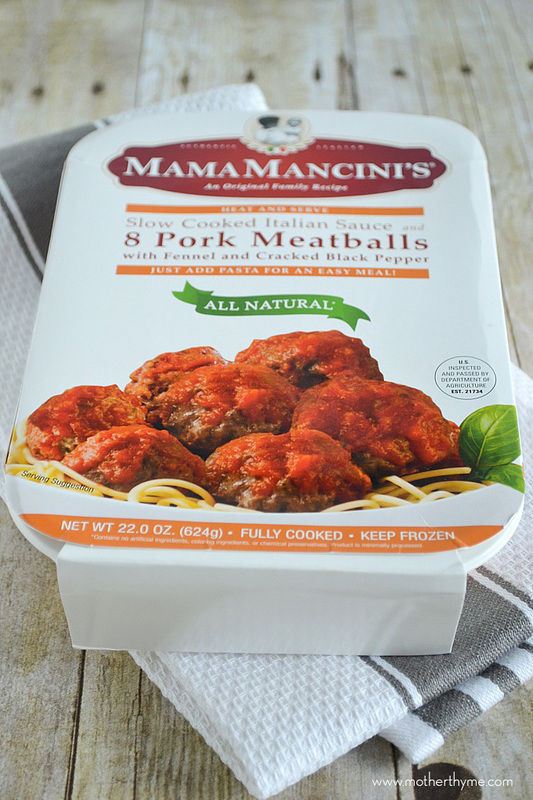 You can find all of Mama Mancini’s Products at Walmart in the deli and frozen section. Get $2.00 Off Mama Mancini’s Here! Stay connected with Mama Mancini’s on Facebook, Twitter and Pinterest. In a small bowl mix butter with garlic powder and Italian seasoning until blended. Lightly spread butter on slider buns and place butter side down on a baking sheet. Bake for 4-5 minutes until lightly toasted. Place a piece of mozzarella on the bottom bun. Add basil leaves and top with meatball. Drizzle with sauce. Sprinkle with Parmesan cheese and top with slider bun. 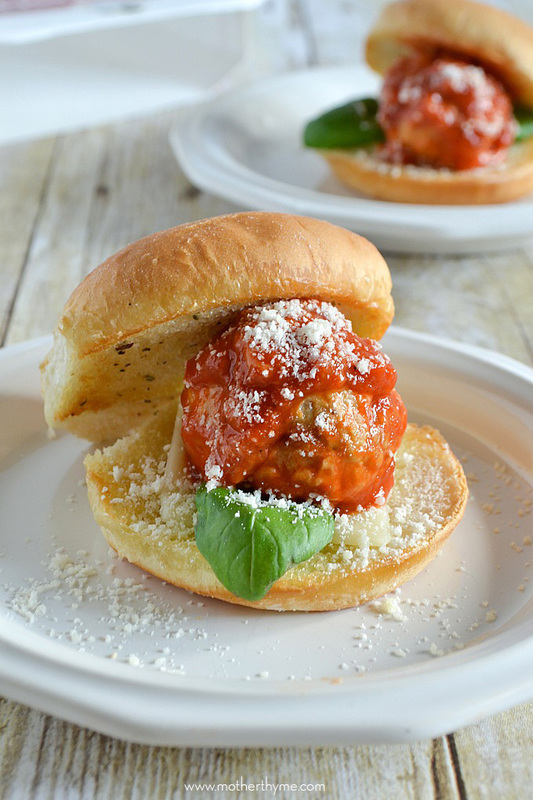 Use a toothpick in the center of buns and meatballs to keep closed if desired. Serve sauce on the side for dipping. Disclosure: This is a sponsored post written by me on behalf of Mama Mancini’s Original Family Recipes for IZEA. All opinions are 100% mine.